Tsuyoshi lived with a friend who was chasing a dream in Tokyo, but then that friend stole all his money and ran off. Now Tsuyoshi is stuck alone with no money, no friends, and no job. Luckily, he finds a place to stay with his aunt, Yuki, who is only a few years older than him. Unluckily, the room he's allotted in Yuki and her boyfriend's home is tiny--and already occupied by two Pomeranian dogs. 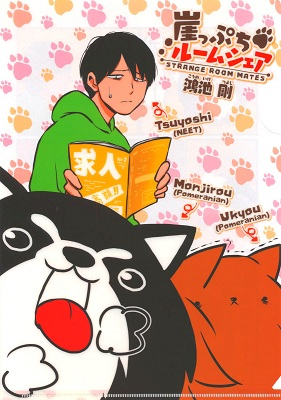 Tsuyoshi likes dogs, at least, so he's going to do his best to handle his strange new room share situation. 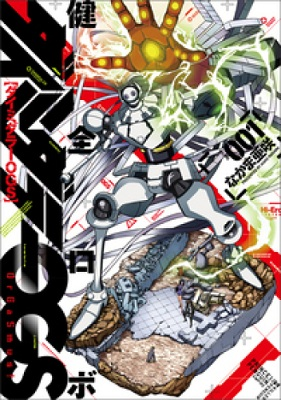 A sequel to Kenzen Robo Daimidaler, this once again features the high schooler Koichi Madanbashi. Koichi possesses "Hi-Ero" particles, which are powered up by groping women, and he is particularly fond of groping women's breasts. He pilots a robot to fight the Penguin Empire's killer penguin robots. Sadayuki is a high school student on his morning commute with his girlfriend Hibino and his childhood friend Akari, enjoying the good life that comes with being with the top beauty in school and very close childhood friends with the cutest. Although often envied because of his relationship with the girls, he is considered a good guy as he always helps those in need. An 'ally of justice' and self-proclaimed hero, Sadayuki is eager to give a helping hand in the name of justice. Sadayuki finds things take a strange turn when Akari appears in front of him, covered in blood. Even stranger are the visions he starts seeing. As he is chased by a mad killer, the visions become more vivid and deadly. The stage is set. The cast has been gathered. The story follows Sadayuki's struggle to survive and save his friends. Satou Sayaka attends an international girls' high school, which is full of exchange students from different countries! 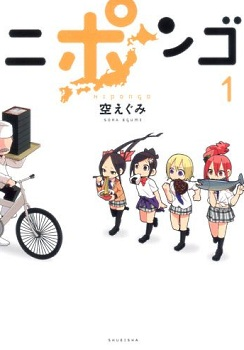 This 4-koma manga follows their daily school life, focusing primarily on Japanese Satou, Russian Sasha, American Mary, and Chinese Meimei. There are two versions of this story with the same premise, one that ends at 10 chapters and another longer series. Sasatake Noko is crazy about pandas, and she has all sorts of panda stuff at her house. One day, a new girl panda arrived from China to join the panda at Ueno Zoo, and there were rumors that the new panda might even be pregnant! Noko showed up to greet the truck carrying the new panda, but noticed that the back door seemed slightly open when it went by. Then she noticed a small, kind of rat-like animal on the ground. After taking it in, Noko realized it was an infant panda, which must have been birthed in the truck and fallen out. Now she has achieved her dream of having a panda of her very own, and she's determined to raise it herself! Panda Noko was cute, if silly (I highly doubt she would have gotten away with raising a panda as long as she did :D). It has a lot of little fun panda facts scattered throughout. 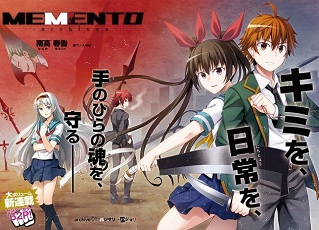 For Memento - Archivez, I don't have much to say on this one because it's probably too early to tell but as a first impression: the first few chapters were very gripping, it does a good job of making you want to know what happens next and how it happened and I think that this manga has good potential as a survival series. Memento - Archivez - However, if you're a fan of violence and survival-type manga, then you should read this one instead. Nipongo - This manga on the other hand is more of a slice of life manga with a nice mix of cultures and is good for those who want to see how high school girls from different cultures mix. 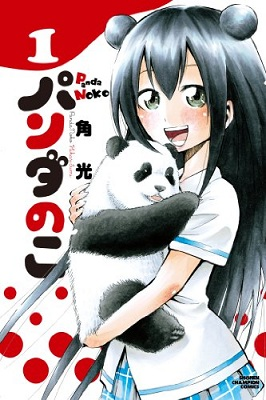 Panda Noko - Another choice manga for those who like pandas. Since there's only one volume/43 chapters, it'll be a pretty short read for those who pick it up. If you haven't done so already, check out the scanlations of the manga from previous shout outs which have been recently scanlated: psychological sci-fi manga Ginga Eiyuu Densetsu (MH link).